"The Belt and Road Initiative (BRI) is one of the most important policy initiatives to have emerged in China in the last 20 years, and we want to make certain that it is both effective and sustainable," said John W. H. Denton, secretary-general of the International Chamber of Commerce (ICC), the world's largest business organization, on Wednesday. Denton spoke to China.org.cn at the sidelines of the Annual Meeting of the ICC Banking Commission, held in Beijing from April 8 to 11. He added that the ICC is also engaged in the initiative to ensure that it benefits not only China, but the participating economies as well. The BRI, first proposed by Chinese President Xi Jinping in 2013, aims to link Asia with Europe and Africa along and beyond the ancient Silk Road routes. It aims to enhance infrastructure, trade, financial and people-to-people connectivity under the principle of "extensive consultation, joint contribution and shared benefits." Denton said the China-proposed initiative should not be seen as a political or foreign policy tool, but rather an economic development tool to support the economic growth of all participating parties. The latest studies by the World Bank and other international institutions suggest that the BRI cooperation will cut the costs of global trade by 1.1% to 2.2% and of trade along the China-Central Asia-West Asia Economic Corridor by 10.2%. The initiative will also contribute at least 0.1% of global growth in 2019, said Yang Jiechi, a member of the Political Bureau of the Communist Party of China (CPC) Central Committee and director of the Office of the Foreign Affairs Commission of the CPC Central Committee, during a recent interview. But Denton warned that the BRI may sometimes be misinterpreted in terms of the nature and effectiveness of the investment. He suggested that China and other investors should be seen as positive players in the local economy, but as such, they need to "ensure that they are delivering social goodwill, that the investment is sustainable, the access to jobs is available to local workers, the payment are made on time, and that local laws are abided by." Last year, the ICC's International Court of Arbitration announced the establishment of a commission to resolve potential disputes related to the BRI. The ICC's engagement with the Belt and Road commission in China will enable the resolution of disputes using a world-class leading resolution procedure. The ICC's rule-making, enforcement and government procedures through this court of arbitration will support the BRI and ensure it is effective and sustainable, said Denton. 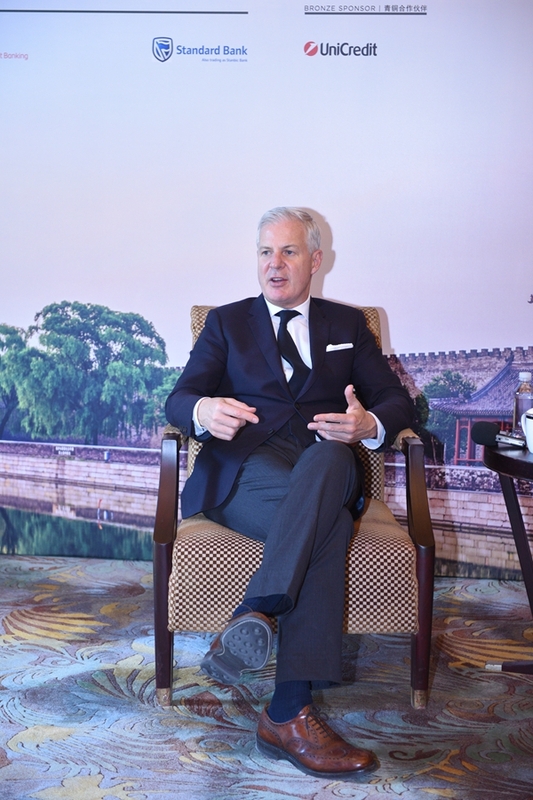 As one of the most important initiatives to come out of China in the last 20 years, the Belt and Road Initiative must be effective and sustainable, said John W. H. Denton of the International Chamber of Commerce on Wednesday.